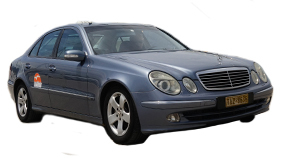 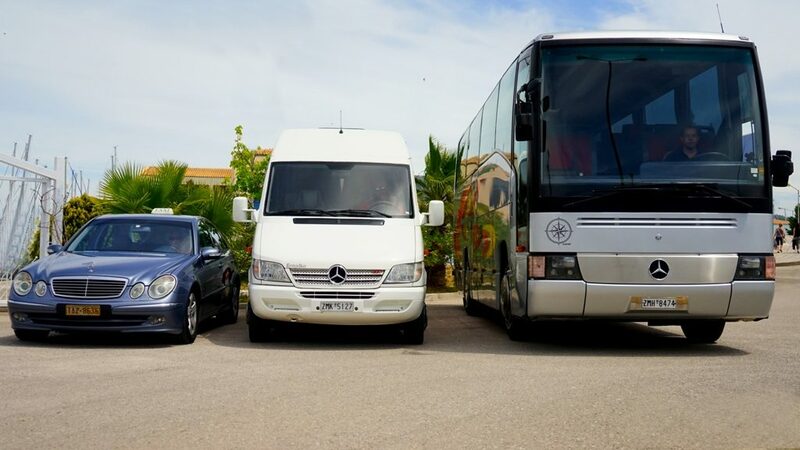 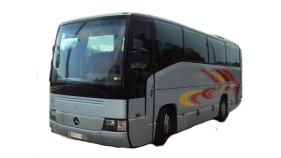 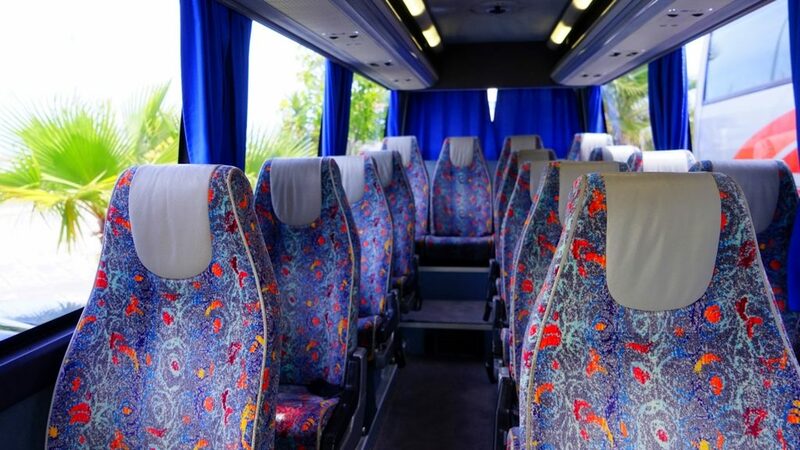 The Compass Tours agency has a number of vehicles in its property and more specifically a bus, a minibus and a taxi. 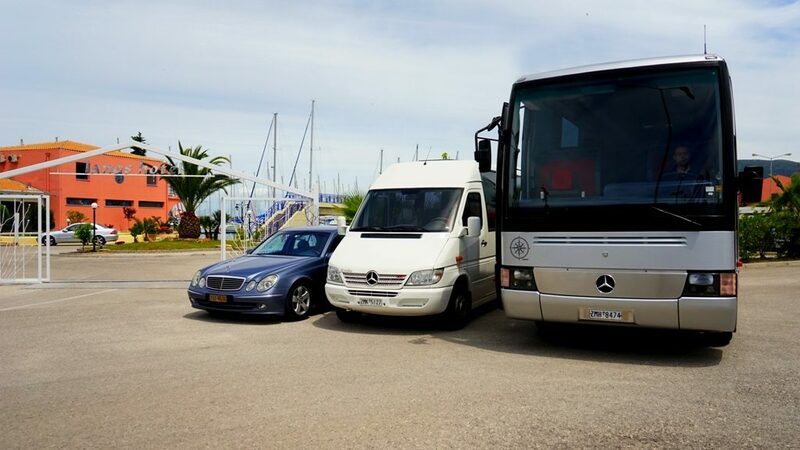 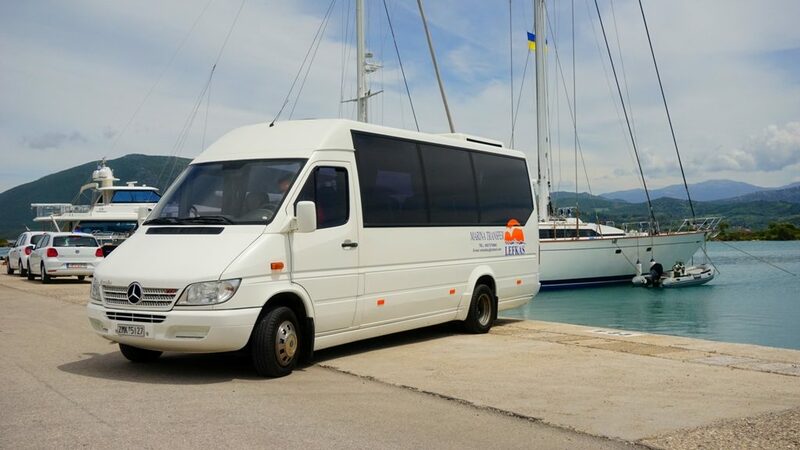 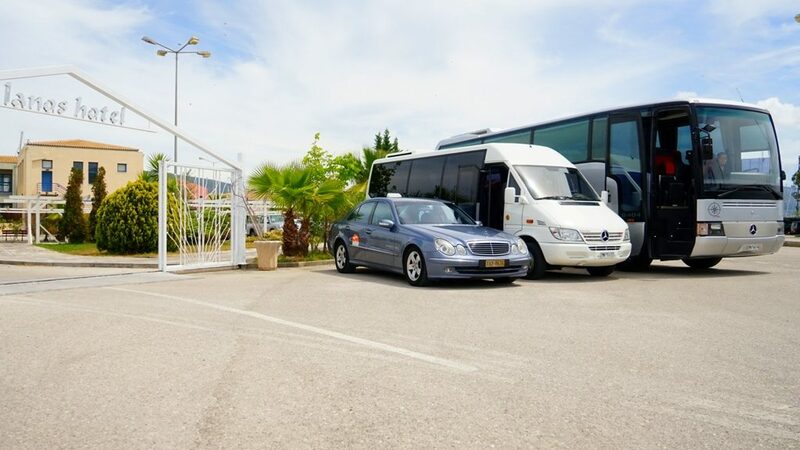 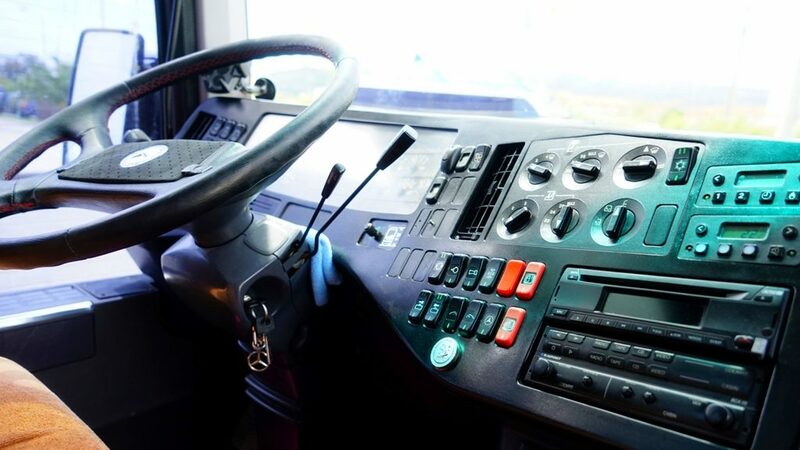 All the abovementioned vehicles are maintained to the highest standards, can provide a safe and comfortable transportation to our passengers and are officially approved by the Greek Tourist Organization. 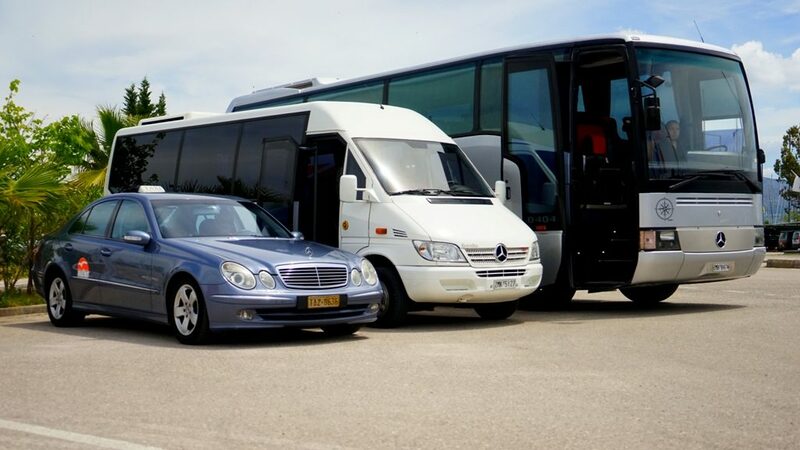 They are fully insuranced with the highest premium required car and passengers’ insurance of the Ydrogeios Insurance Company Ltd.
All our vehicles are under constant checks and careful maintenance as there is a strict policy in the Compass Tours regarding the safety of our passengers. 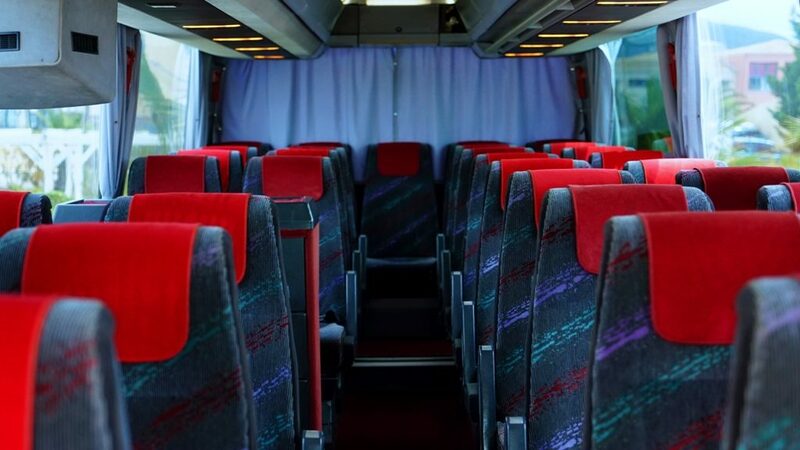 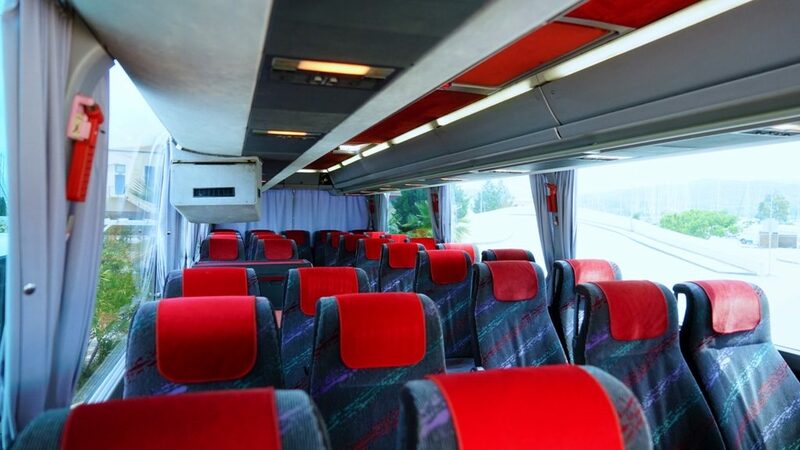 33 seater bus: A luxurious bus with comfortable seats, air-condition, available TV/video ideal for the relaxation of our passengers plus WC. 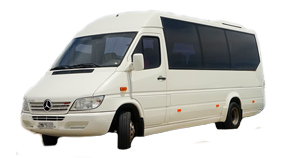 16 seater bus: A luxurious minibus with comfortable seats, available air-condition and TV/video for the relaxation of the passengers. 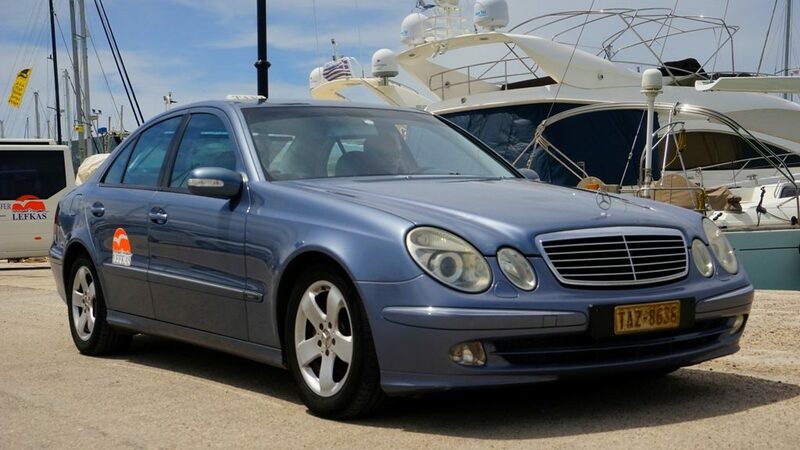 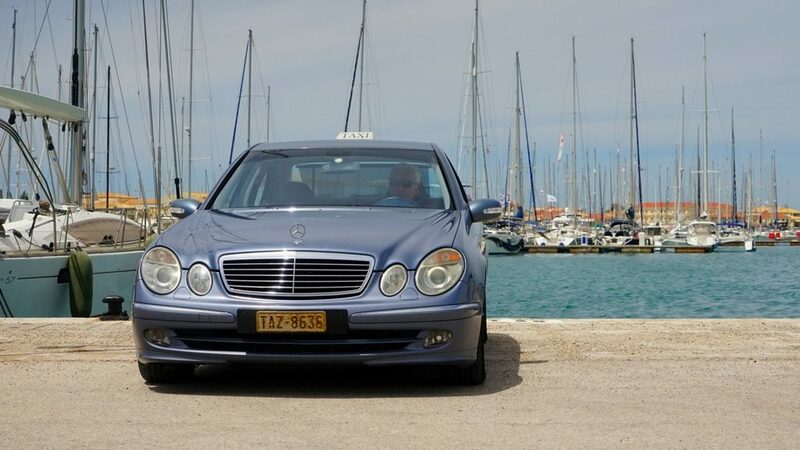 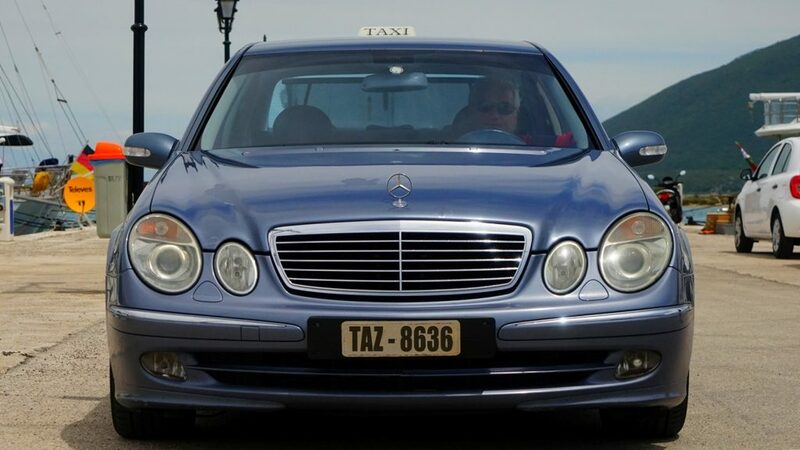 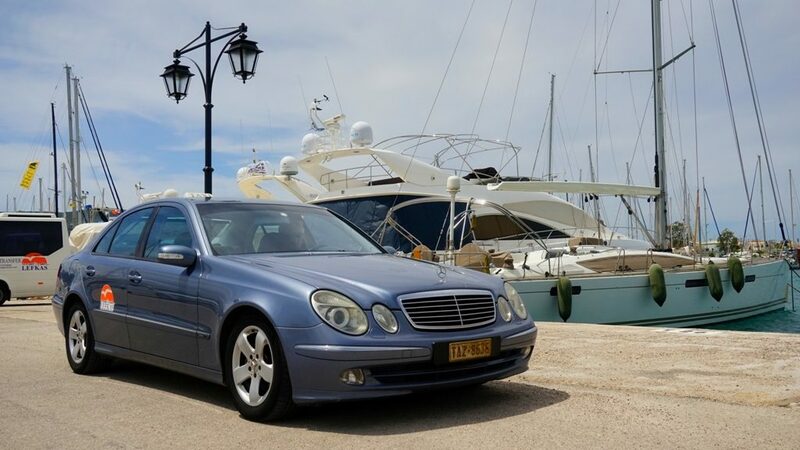 Mercedes-Benz- a-Class privately-owned taxi: A luxurious taxi with leather seats and available air-condition which can carry safely passengers to any place inside the island or in any other destination all over Greece. 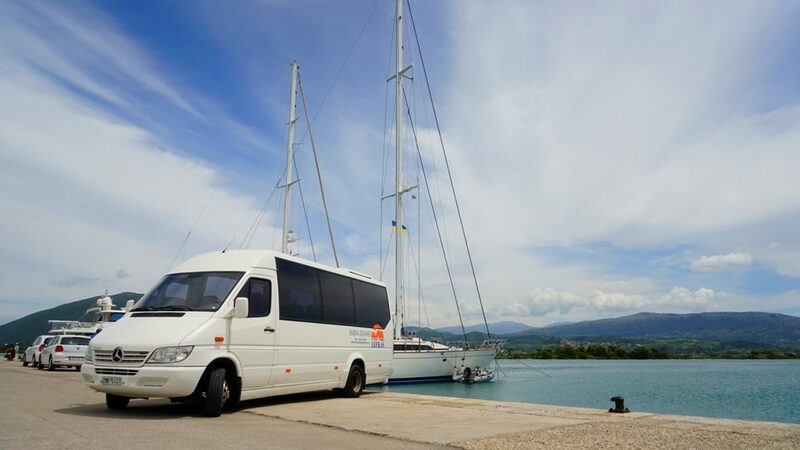 All the drivers and guides hired by the Compass Tours are highly experienced, polite, courteous and 24/7 willing to solve any problem you may face during your route or to offer you any assistance you may need.